Getting a bad grade can immediately induce panic and stress. After receiving a lower-than-expected grade, though, it’s key to take a step back to analyze the situation and strategize how to move forward. After a bad grade, meet with your teacher to discuss it further, review your mistakes, and make an action plan. If you’re looking to improve in a particular class, keep reading to learn what to do after a bad grade. What can I take away from this specific assignment that will help me on future assignments? Are there any practical tips or steps that you recommend? Your teacher can often point you to strategies and resources that you might not know about. Additionally, they can help you understand this bad grade within the overall scope of the course (i.e. how this might affect your final grade). Once you’ve met with your professor or teacher, review the assignment and identify specific areas of weakness. Note exactly where you went wrong on this particular assignment, and pinpoint concepts you may need a deeper focus on moving forward. If you got a bad grade on a math assignment, have your teacher help you work through specific problems step-by-step so you can gain a firm understanding of how to solve the problem. 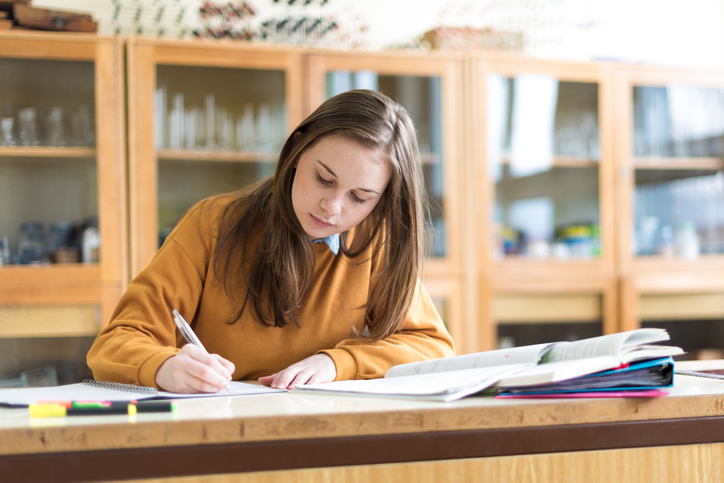 If you struggled with an essay assignment, inquire with your teacher about how you can better hone your writing and strengthen your assignments in the future. Depending on class policy, your professor might offer opportunities for retakes or rewrites. 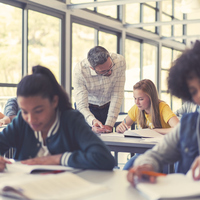 While you can ask your teacher if these options are available, it’s important to note that not all classes allow this and to focus on ways to improve your grade in the future. Once you’ve identified areas of improvement, it’s time to create an action plan to continually improve your grades. To do this, it’s important to designate times in your schedule for this subject. What time during your week can you dedicate to this subject or a particular upcoming assignment? What kind of support do you think would be helpful for getting you to the next level? Identify resources—both inside and outside of your school—that can help you focus your studies. These support services could include a math or writing center, specific teachers, and peer study groups. It also might be useful to visit your guidance counselor or advisor to see if they have any tips as you move forward. In times like these, your peers and classmates are often excellent sources of support. Do you have any older friends who’ve gone through this particular class that you can chat with and ask for advice? Establishing a support system will help you turn this bad grade into a positive learning experience.